“I do. We do. You Do.” These guiding words helped me think through my lesson plan layout for the first few years of my teaching career. “I do” describes the introduction of new material; “we do” refers to the guided practice; and “you do” points to the independent practice, which often starts in class but finishes at home. 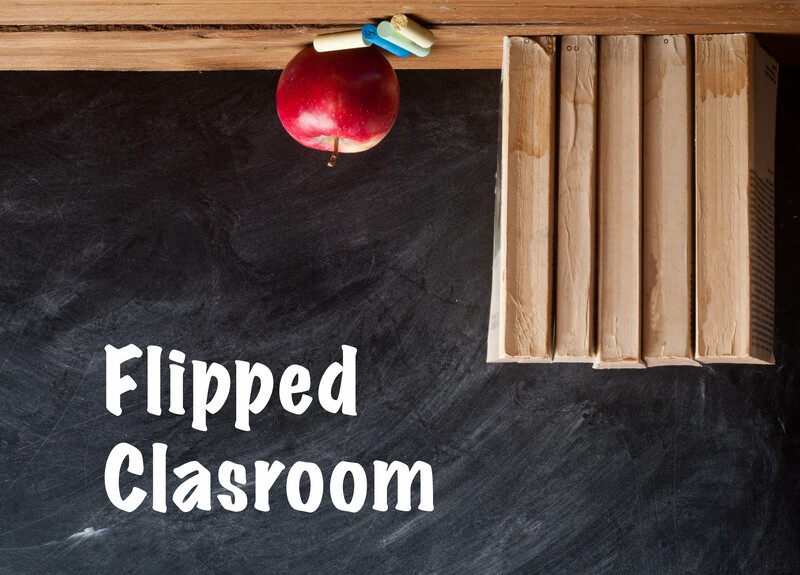 In the past few years, however, teachers have started to use technology to experiment with “Flipped” classrooms. In the most popular version of the flipped model, the introduction to new material (where the teacher can be seen lecturing, presenting a powerpoint, or doing a basic problem) generally takes place at home, through a lecture video. This in turn frees up class time for more in depth mastery and additional support for students who need it. Initially, I had a very rigid idea in my head of what I needed to do in the flipped classroom model. It was: introduce new material (INM) in a video (see some of my videos here) at home, students would arrive in class and take a basic quiz or entrance ticket on the material. In class, we would expand on the topic at hand with a more difficult version of the problem and then move into group or individual work (the worksheets that normally would have been homework assignments in years past). The worksheets would be finished in class, so students could then learn new material at home that night. The essence of the flipped classroom is that technology enables us as teachers to take the conventional lesson structure (I do → We do → You do) outside of the physical classroom environment. But the idea of flipping the class using tech is more powerful than my initial view of it. There are many ways to flip a class, aside from just switching the INM with the independent practice. This is a freeing concept once you think about it because it means that you can start to use the home environment as a way for students to continue their learning, and you can accomplish this in a multitude of ways. Below are some different ways that I moved pieces of a lesson around that were more unique. First, embedding questions with video lectures to bring some basic guided practice into your INM. Though I started my year using entrance quizzes and note checks to keep students accountable, I found it even more effective to embed the videos within assignments (see Q8) on Edcite. For reading assignments, I would put some comprehension level questions in them (here is an example of an assignment on reading from my computer science class), and use these as launching points to discuss the deeper questions for class. I could see a digital record of them opening the assignment (or not!). This was really helpful for accountability and figuring out students’ tech access situations. It also allows me to identify which students need to follow up with at the start of class! Second, you can use tech to build assignments that deepen student understanding at home. Students can review the concepts at home so they are prepared for more rigorous practice the next day. And, with digital assignments, students can get real time feedback and understand their misconceptions early on. The key to these practice assignments is finding assignments that well-scaffolded, so students are led from the more basic concepts those that are more complex. Finally, you can also help solidify student understanding at home by embedding additional materials in regular digital assignments. For many students, seeing the information presented in a different way, by a different person can make the new concept “click”. With digital assignments, teachers can upload links to resources, videos, images and information about other resources from the class. This Computer Science assignment sends student to digital reading resources. This Kindergarten Counting Practice assignment includes many images to make the concepts more real for students! This Pre-Calc Assignment lists pages from a textbook as resources for students in my class! As technology (and tech access) continues to improve, the walls of the classroom continue to expand. I find it helpful to continue thinking about the basic lesson structure as a guide. I do, we do, you do is still important, but tech allows us to successfully perform these different pieces of the lesson at new times. Previous Post: Standards, Or No Standards? That Is The Question.